Hey Southern California locals! There will be a Steven Universe fanart show in your neck of the woods! It will be on Thursday February 1, 2018 at the Comic Book Hideout in Fullerton, California. They are currently accepting art for the gallery! All art mediums and all ages are accepted! 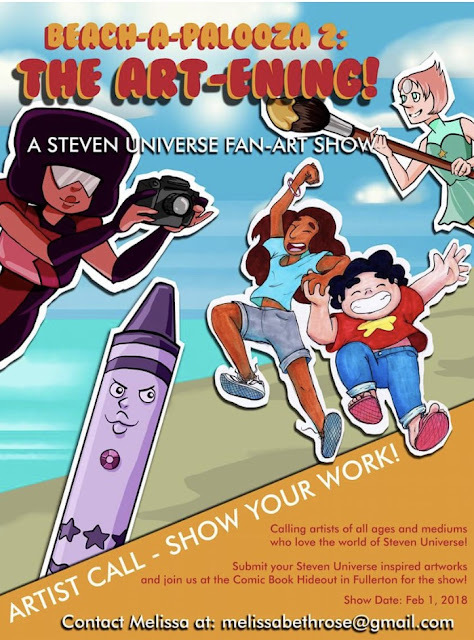 If you or someone you happen to know might be interested in submitting art for the gallery, or if you happen to have any questions, contact Melissa at melissabethrose@gmail.com .